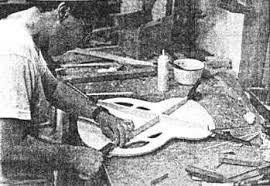 James L. D’Aquisto (November 9, 1935 – April 18, 1995) was an American guitar maker best known as the premier maker of custom guitars. He served as an apprentice to John D’Angelico from 1952 and was considered his successor after the latter’s death in 1964. From his shop in Huntington, New York then in Farmingdale, New York and later during his “golden period” in Greenport Long Island, New York, D’Aquisto became known as the world’s greatest guitar maker from the late 1960s until his death in 1995. James D’Aquisto, born November 9, 1935 was trained by, and is the successor to, John D’Angelico. Both men are considered to be the finest independent builders of archtop guitars in the history of the instrument. James apprenticed to John, starting in the 1950s, possibly as early as 1954. Jimmy said “I was making $35 a week. I was like the runner: I’d go to the stores, pick up the tuners, go get the tailpieces from downtown, take the necks to the engraver, all that. I cleaned the windows, swept the floors, everything – we all did that. On Friday we put away the tools and cleaned the shop so when Monday came the place would be spotless.” Later, James learned the “rough work” of the D’Angelico building style. By around 1960, John’s health was failing and Jimmy was asked to do more and more of the finishing work, and, finally, the hand-crafting of components. John died on September 1, 1964 at age 59. Jimmy continued the business of building guitars, under his own name. In 1966 he moved to Huntington, Long Island and in 1973 moved to Farmingdale. In 1977 he made his final move to Greenport, Long Island. His guitars are considered without peer. Jimmy D’Aquisto was always afraid that he might die at the same age as his mentor, at age 59. In fact, he died Tuesday, April 18, 1995 at the age of 59. D’Aquisto’s name is attached to many guitar models from brands like the Fender “D’Aquisto Elite” “D’Aquisto Ultra” and the Hagström Jimmy, and his blue “Centura Deluxe” was the inspiration for the book Blue Guitar.There is another book titled “Acquired of the Angels: The Lives and Works of Master Guitar Makers John D’Angelico and James L. D’Aquisto Today, his guitars sell for tens of thousands of dollars to over $400,000. And the first to be worth a million dollars. In 2006, James L. D’Aquisto was a inductee to the Long Island Music Hall of Fame. His tools and work bench — passed down to him from D’Angelico — are on display at theNational Music Museum. 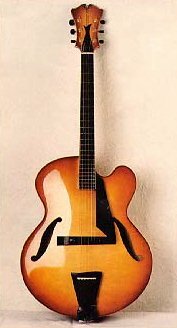 D’Aquisto flat top guitars are a group of 16 guitars made by Jimmy D’Aquisto. His flat tops are unique and carry a bracing design entirely of his own devising. He made 16 flat top guitars from 1973 to his last in early 1984. He made two types, a grand auditorium and a dreadnought. 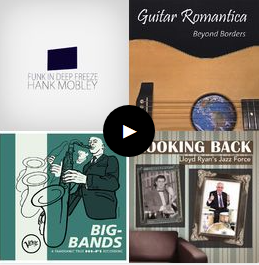 In general, they were deep guitars with a large oval sound hole. He believed the oval sound hole produced greater projection than the typical round sound hole.They have a strong bass boom and the midrange and clarity expected from a D’Aquisto. Overall, their tonal structure is well-balanced and very suitable for recording. Of course, each of his instruments were custom built and variations were common. A customer would be given names and phone numbers of then current owners so the prospective owner could play existing guitars (Jimmy did not have completed guitars sitting in his shop—they were shipped as soon as they were completed). The prospective customer could then go back to Jimmy and tell him what was liked or what changes were desired; he would then adjust his plans accordingly. Whether the customer requested brilliance or bass, Jimmy would refuse to add a pickguard to the guitar face nor would he consider using any more than minimal bindings on the guitars so as to not reduce the sound possible from his creation. If amplification was desired, he would only consider a floating or non-permanent pickup (for either flat top or archtop), again, so as to not diminish the guitar’s sound quality. He used a unique (for his time) off-set rectangular shape for the bridge, with the bass side larger than the treble. He could adjust the amount of bass in the guitar by the way he sized and shaped the bridge. He numbered his guitars from 101 to 116. Number 101 was a non cutaway auditorium as well as number 111, which he made for Laurie Veneziano and Janis Ian. Numbers 102 to 110 were his dreadnoughts. From 112 to 115, are some of his most beautiful auditorium guitars and the only flat tops he made with a cutaway. Each is a radiant blond color. He used European spruce tops and European maple back and sides for all his flat tops. Ebony for the fret board, bridge, bridge pins, and headstock overlay. His last, 116, is a dreadnought in an unusual tobacco sunburst finished in 1984. 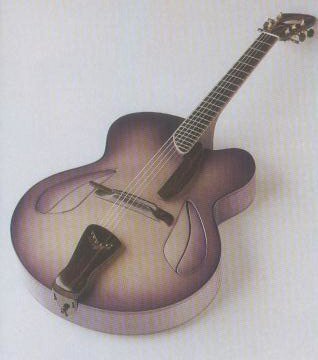 D’Aquisto also made a few nylon-string flat top guitars.